The history of the club and its origins are currently being researched by the committee. 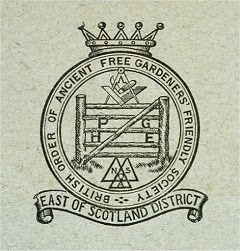 Various items and photographs have been unearthed within Rishton of the club in years gone by and these will be scanned and uploaded to the Rishton Free Gardeners Club Facebook page as they turn up. Anyone who has photographs of members past and present that could be scanned for posterity should contact Ken Moss on 01254 882797 or 07789077816. Any information would be gratefully received and thanks are due to Brian Dunn of Padiham for all his help.